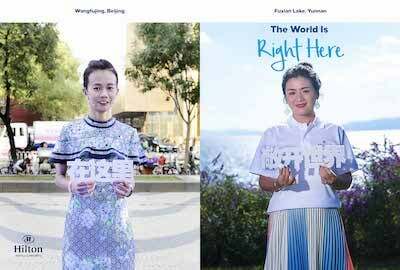 Hilton brought to life the brand’s tagline of “The World is Right Here” through a synchronized event at properties in Beijing’s Wangfujing and Yunnan’sFuxian Lake. The event, which was made possible with Telepresence technology, allowed guests to view life-sized images of participants at the respective destinations, interact with each other through a customized digital interface, and take photos together. Designed to inspire Chinese travelers to discover the world through the brand’s global footprint of more than 575 hotels in 79 countries and regions across six continents, Hilton Hotels & Resorts unlocked exceptional experiences for its guests. As its tourism industry continues to grow, Greater China presents Hilton with its largest market outside of the US, and is now home to 50 Hilton Hotels & Resorts properties, with an additional 64 hotels in the pipeline. Hilton aims to invite Chinese travelers to discover authentic experiences around the world, with another 179 properties in the pipeline globally. By the end of 2018, the brand will open 19 more hotels. In December 2017, Hilton Hotels & Resorts released a blue paper titled, “The World of the Chinese Modern Day Traveler is Right Here,” which analyzed factors influencing Chinese travelers’ behavior and preferences. 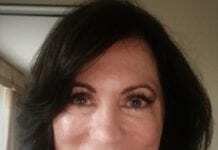 At the same time, the brand launched advertisements in some of the country’s busiest airports. In continuation of this brand campaign, the “Beijing Meets Yunnan” event leverages innovative technology to allow guests at both destinations to meet each other virtually, in life-size. As one of the most recognized names in the industry, Hilton Hotels & Resorts will celebrate its 100th anniversary next year, and will continue to encourage travelers to explore the world through its global footprint.